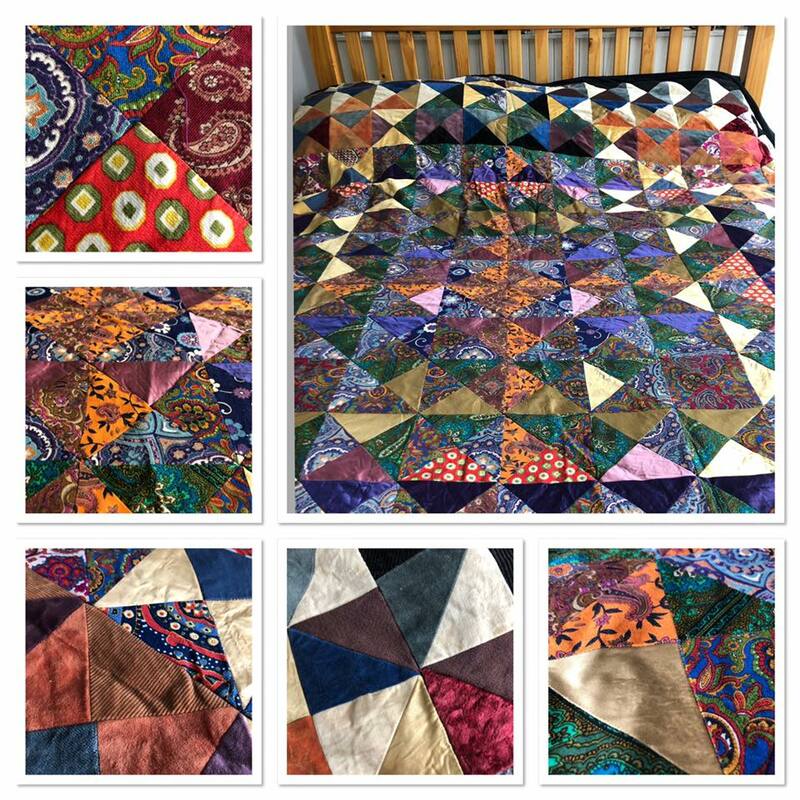 236) Amazing handmade, double bed sized vintage quilt this is stunning. It incorporates many fabrics, corduroy, satin, cottons and is backed in white cotton. It will need some tlc. We are leaving washing to the buyer. There are odd marks and a little damage to some of the texture of a few squares. But very minimal. It needs a new life!